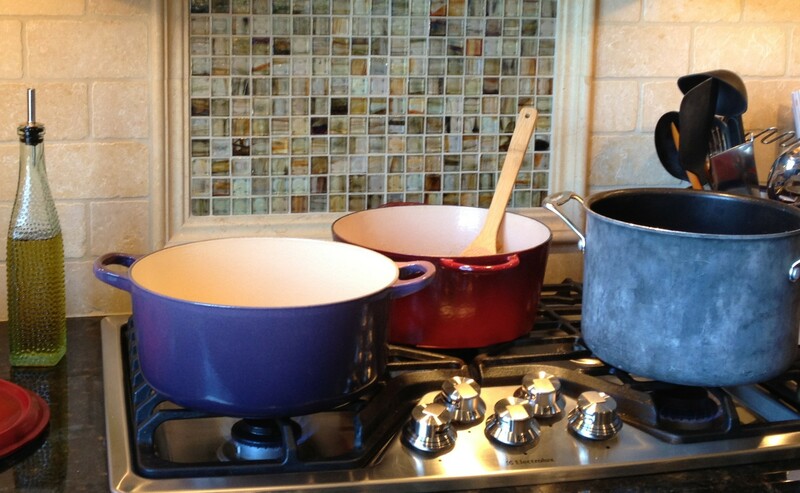 We gathered in my friend’s beautiful kitchen, pots in hand, and got to work tripling the recipe. 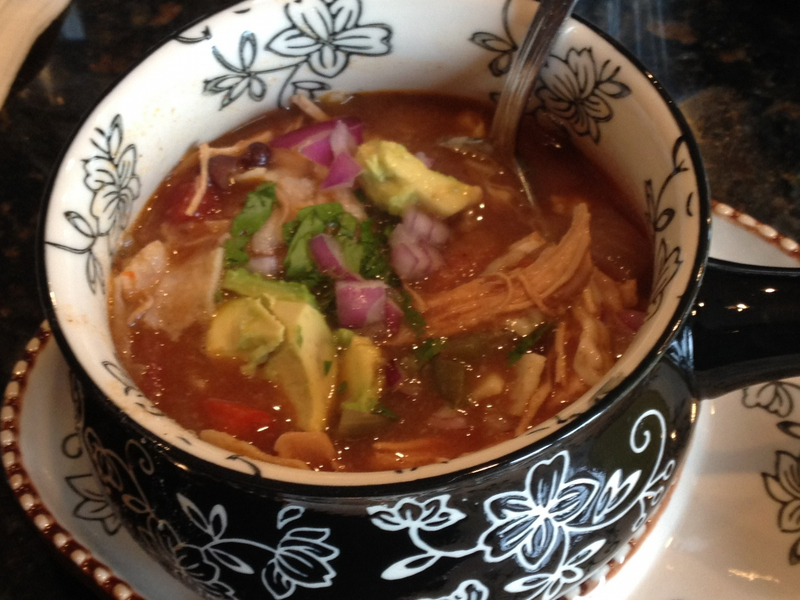 Can you believe I’ve never had chicken tortilla soup? Or ANY tortilla soup? I am always amazed at how little I know about the world. The verdict: I am calling this soup a success. There were a grand total of fifteen of us who ate this soup for dinner tonight. All three of the husbands loveloveloved it. All three of us pioneer women of Chester County loved it, too. Three children liked it well enough. Two children cried about it. One picky eater ate a small amount. And two boys were too busy with sports to try it as of this publishing, but my prediction is that they will like it. While the soup is very flavorful (one of my son’s called it a burrito in a bowl), I think the toppings really make it shine. Cilantro is a must (unless you think it tastes like soap) and cheese and sour cream and avocado, too. Preheat oven to 375 degrees. Mix cumin, chili pepper, garlic powder, and salt. Drizzle 1 tablespoon olive oil on chicken breasts, then sprinkle a small amount of spice mix on both sides. Set aside the rest of the spice mix. Heat 1 tablespoon olive oil in a pot over medium high heat. Add onions, red pepper, green pepper, and minced garlic. Stir and begin cooking, then add the rest of the spice mix. 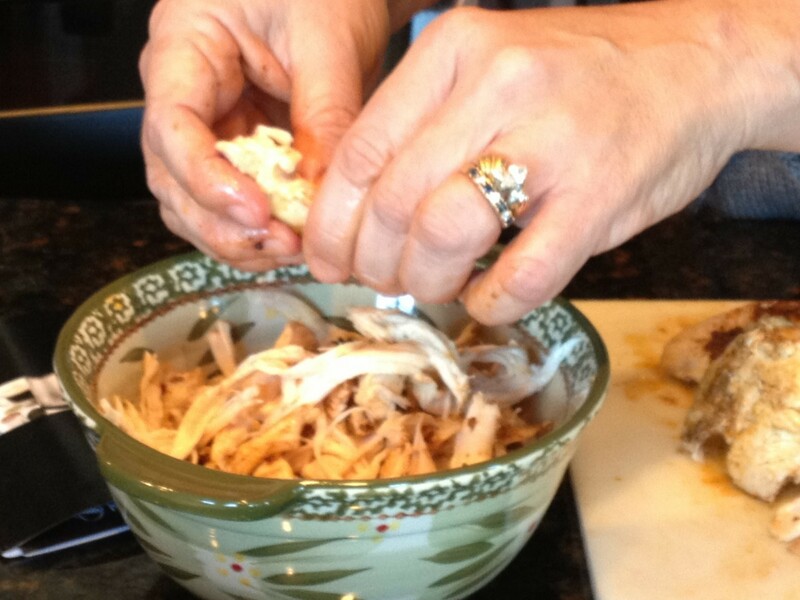 Stir to combine, then add shredded chicken and stir. 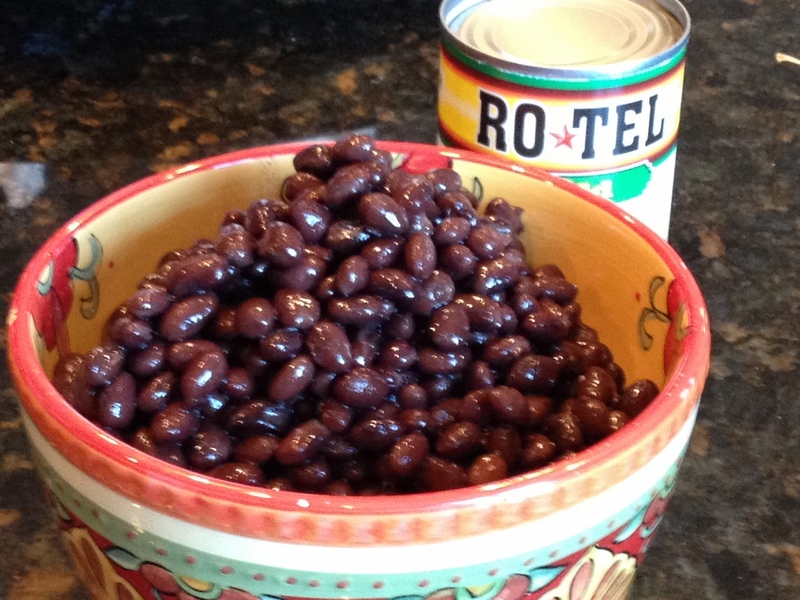 Pour in Rotel, chicken stock, tomato paste, water, and black beans. Bring to a boil, then reduce heat to a simmer. Simmer for 45 minutes, uncovered. Mix cornmeal with a small amount of water. Pour into the soup, then simmer for an additional 30 minutes. Check seasonings, adding more if needed—add more chili powder if it needs more spice, and be sure not to undersalt. Turn off heat and allow to sit for 15 to 20 minutes before serving. Five minutes before serving, gently stir in tortilla strips. This entry was posted in Chicken, Main Dish and tagged chicken tortilla soup, Pioneer Woman's chicken tortilla soup by Mom Mom's Apron. Bookmark the permalink. Great day with friends and a great soup!!! !